Is Core Themes Right for You? Core Themes is about helping you discover your unique purpose and meaning in your life and work. Unlike many other career counseling packages, Core Themes is an exciting, comprehensive, in-depth examination of you and what makes you tick, both personally and professionally. It is a life changing process. 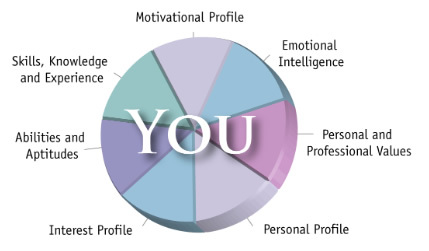 We use 12 carefully selected, diagnostic tests to help you better understand yourself. Once we’ve gathered this information, we then spend approximately 20-25 hours in one-on-one discussion to help you discover your unique Core Themes: those essential values, needs and interests that define you. Are you someone who works just as a “means to an end”; the paycheck pays the bills and allows you to have a preferred lifestyle, put the kids through college, etc.? ……. Or are you someone who believes that what you do for your life’s work must have a meaning and purpose beyond “making a living”? If you identify with the latter statement but no longer feel energized by your work then you may be a prime candidate for the Core Themes program! Have you had an “accidental career?” Did you just happened to “fall into” a career that was convenient and available without any real planning or intentional decision? 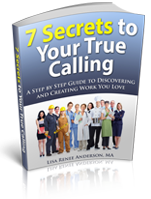 Do you still love your job but no longer believe in the company you work for? Often, many long-term employees experience change after change in their company to the point where they do not recognize their old company. They become disillusioned, suffer low morale and lose their respect for the company and its leadership. Is your job no longer challenging or interesting? Perhaps you have grown out of your job but have nowhere to go. You feel stifled and stagnant – “going nowhere fast” but stuck for some reason, maybe the money is good and you have obligations at home. Maybe you chose your college major and stuck with it. You are trained and educated in a field that does not fulfill you. Where do you go next? Did you make the “wrong” decision? What you thought was the perfect job turned out to be a disaster. Has the pressure to sell, sell, sell gotten to you? Maybe you love the autonomy, the potential to earn big money, and the travel, but realize you don’t have the aggressiveness necessary to be successful and the pressure is unbearable. Are you stuck with a decision you made a long time ago? In high school maybe you were influenced by a teacher who noticed your excellent analytical and mathematical skills. Her advice was to major in Accounting in college but lacking any guidance fourteen years after graduating you find yourself hating your job as a commercial loan underwriter. Are you feeling stuck? Are you burnt out? Maybe teaching has become difficult. You still love the kids and the subject matter, but… the politics, the seemingly endless non-academic duties, uninvolved parents, little gratitude and nonsensical restrictions on your ability to teach the way you used to all add up to a lot of stress and frustration. A profession you once loved has gotten you trapped! Other high stress, burn out professions include nurses, doctors, dentists, lawyers, accountants, social workers, therapists, ER physicians , school superintendents, hospital executives, etc. After many years of being home to raise the kids and take care of the family’s needs, is it finally time to take care of your needs? Perhaps you had a successful career before the kids came along or maybe you were just starting out in your profession. In any case, it is now your turn to figure out what you will do in this exciting next chapter of your life. But what? And how? Have you had success but still want a change? Maybe you’re still relatively young and healthy but feeling like you need to figure out what you want to do for the next ten years. If any of this sounds like you and you’re ready to get started then please email or call (541) 484-6785 today for a free consultation. The consultation lasts about 60-90 minutes and can be done in person or by phone. What Will I Get Out of Doing Core Themes? Usually lasts between 1-1 ½ hours. No charge! The interview can be conducted in our office or over the phone. Call (541) 484-6785 or email me today for a free consultation. A personal and professional examination: The key objective of Phase 1 is to help you know and understand yourself at a deeper level than you now do. Phase 1 consists of two critical building blocks that provide the foundation for identifying your Core Themes. The people in our life: primarily our parents or whoever raised us, siblings, extended family and friends, teachers, coaches and colleagues and bosses. The events in our life: “Nine-Eleven” shaped forever the way America responds to the security of our country. As an example, you now take your shoes off at the airport. Where you were at the time of this traumatic event in our country has shaped you and the way you view that event. The situations in our life: Everyday situations such as the dog getting sick, the car breaks down, you change your job or take on new projects, etc. You are not here by accident and much of what you believe, your values, morals and how you view life and the world have been “shaped” by these three factors. Each client’s personal history is recorded in great detail. We start our discussion by having you tell us where you were born, about your early childhood years, family make-up, the personalities of your parents and siblings, etc. We believe that the early years, your foundation, often provide important clues to helping you discover how you got to be the person you are today. The history taking continues, and we gather information about your adolescent years and your education. We want to know what sort of kid you were and how you thought of yourself when you were just 16 years of age. And we progress through all the stages of your life right up to the present time, examining your college and young adult years and your professional history. Time involved in Phase 1: Approximately 3 meetings lasting 2-3 hours each over a period of 2 weeks. Result: We now have a volume of data both objective and subjective covering nearly every aspect of your life and career. The formal assessment has provided objective data as to your strengths and limitations. The foundation for the work ahead has been formed. Going deeper — written exercises and selected readings: The exercises are designed to have you reflect on what you value most in your life. They require you to seriously examine two of life’s most important questions. The responses to these questions form the basis for discovering and defining your Core Themes. During these exercises, we ask you to put aside your practical concerns and think about your life free of the everyday realities. Time involved in Phase 2: Approximately 3 meetings lasting 2 hours each over a period of 2 weeks. The assessments will take about 6-7 hours to complete and the personal history will take about 4-6 hours to complete. Result: We now have a body of data that points to your strongest beliefs, interests and values––what you want your life to count for when all is said and done! Discovering your unique Core Themes: Now that we have done an exhaustive examination of what you believe are the critical and important elements of your life and have an objective assessment of your personality, abilities, interests, Emotional Intelligence, underlying needs and your acquired knowledge and experience, we are ready to create the first draft of your Core Themes. Generally, it takes several drafts to come up with your actual Core Themes. At this stage, significant family members are brought into the process to get their input and commitment to your Core Themes. Time involved in Phase 3: Approximately 2-3 meetings lasting 2 hours each over a period of 2 weeks. Core Themes drafts and final version can take from 2-5 hours. Result: You now have your “unique roadmap” to guide you in making informed and intentional decisions in your life and career. The Plan: Knowing your Core Themes doesn’t always immediately get you to where you want to go. You need a realistic plan, a sound strategy and the ability to execute if you expect to find true purpose and meaning in your life and career. Time involved in Phase 4: Approximately 2 meetings lasting 2 hours each over a period of 1-2 weeks. Additional meetings are scheduled as needed to provide guidance and direction and to evaluate your progress in carrying out your plan. Result: A practical plan and strategy giving you confidence and direction to go forward to fulfill your Core Themes.